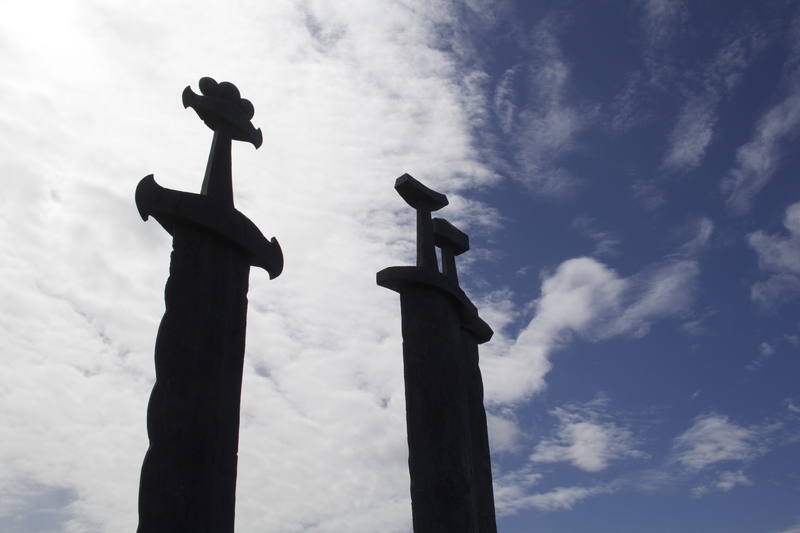 Our last day in Stavanger was a bit of an odd one. In Norway, May is the month of public holidays, which meant that Abby and I had Monday off for Pentecost, but then again so did everyone else. Most things were closed due to the holiday, which meant that we were able to start the day off at a leisurely pace. The first item on our agenda: breakfast. Now, one of the things Heather asked us to do with her hotel points was to enjoy a hearty breakfast. Abby and I were pretty confident that we were up to the challenge. 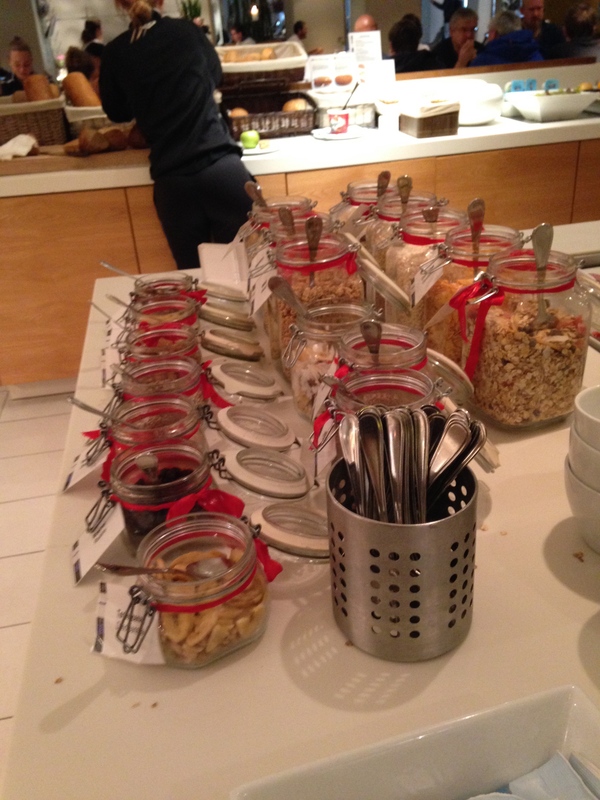 Norwegian hotel breakfast is by far some of the best I’ve ever had in terms of options. 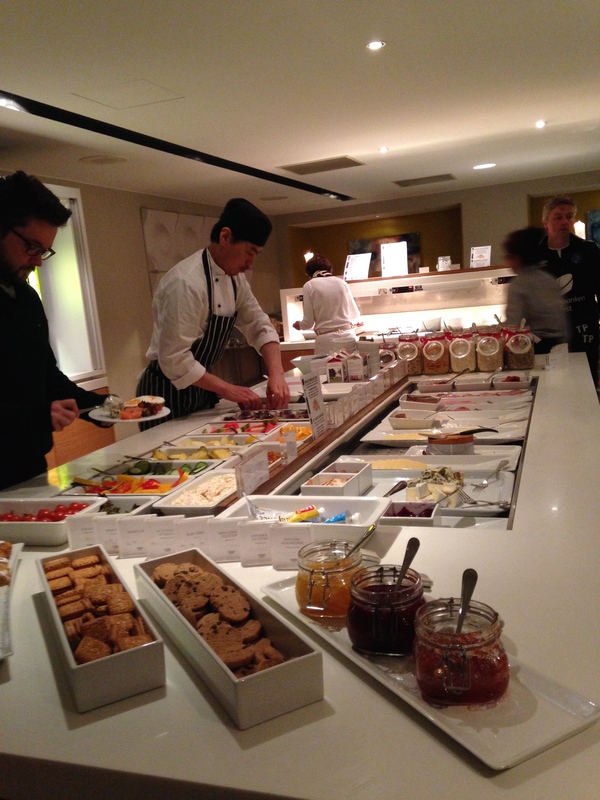 So, taking some inspiration from Heather’s husband Jason, an avid fan of Norwegian breakfast, we did battle with the buffet table and managed to go away stuffed after a few courses. 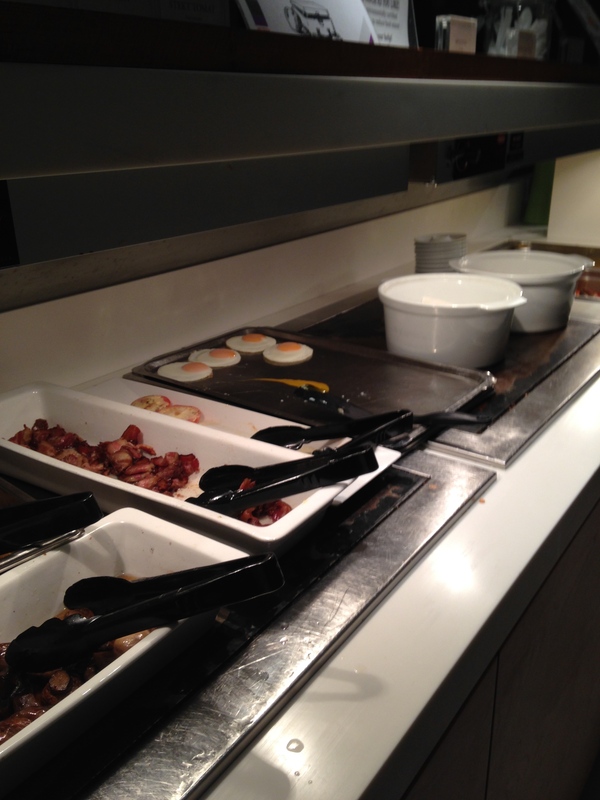 For another perspective on Norwegian breakfast, check out a blog post that Jason did on breakfast amongst other things. After loading our things into the car, Abby and I wandered back into town and checked out the local market before moseying over to the Norwegian Petroleum Museum. 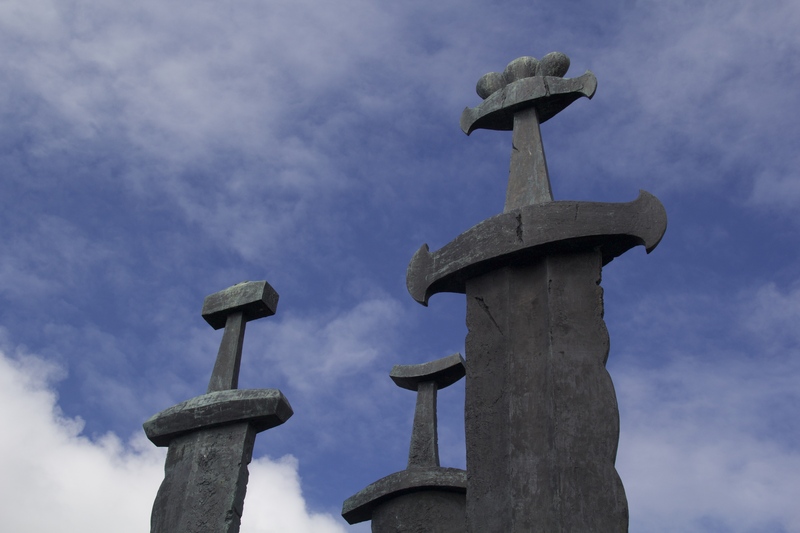 Now whenever I mentioned that I was going to Stavanger to Norwegians, the general reaction was something along the lines of “Ugh, oil.” Stavanger is the home of Statoil, Norway’s largest energy company, and is also the headquarters of many other energy companies. 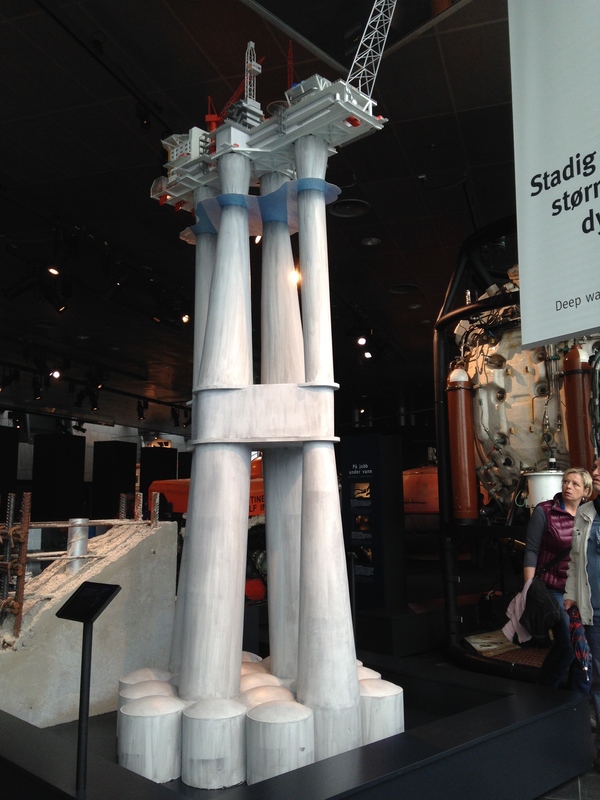 So while my Norwegian compatriots weren’t thrilled that I was going to Stavanger, I was excited to go Stavanger, and I was particularly excited to go to this museum to learn a bit more about Norway’s relationship with oil. The museum itself is pretty well designed and very family friendly. 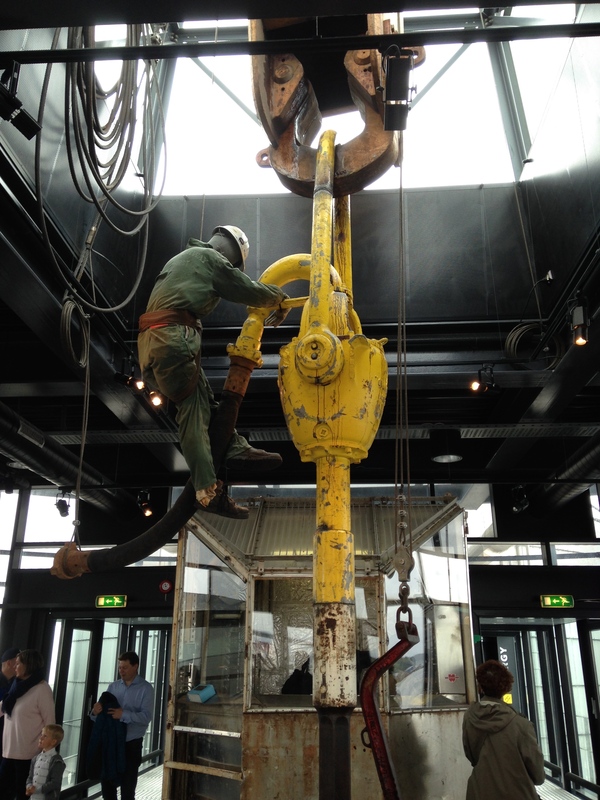 Much of the museum is dedicated to the history of oil and gas in Norway, how it is monitored and regulated, and of course what life is like on board oil rigs. I’m not entirely sure when all of the information was published in the museum (so some of the stats might be a bit outdated) but here’s some of what I learned. Although Norway is well known for its oil wealth, as of 2009, the Norwegian continental shelf only contains .6% of the world’s found oil reserves and 1.6% of its gas reserves. While plenty of other countries have more oil and gas (Norway is 18th for oil and 12th for gas), in 2011 it was still the world’s seventh largest exporter of oil (exporting over 1.5 million barrels of oil per day) and in 2010 was the second largest exporter of gas (100 billion sm³ of gas per year). While prosperity has certainly come to Norway, studies on the country’s happiness levels show that the huge increase in wealth in recent decades has had a small impact on overall happiness. In other words, money isn’t everything. 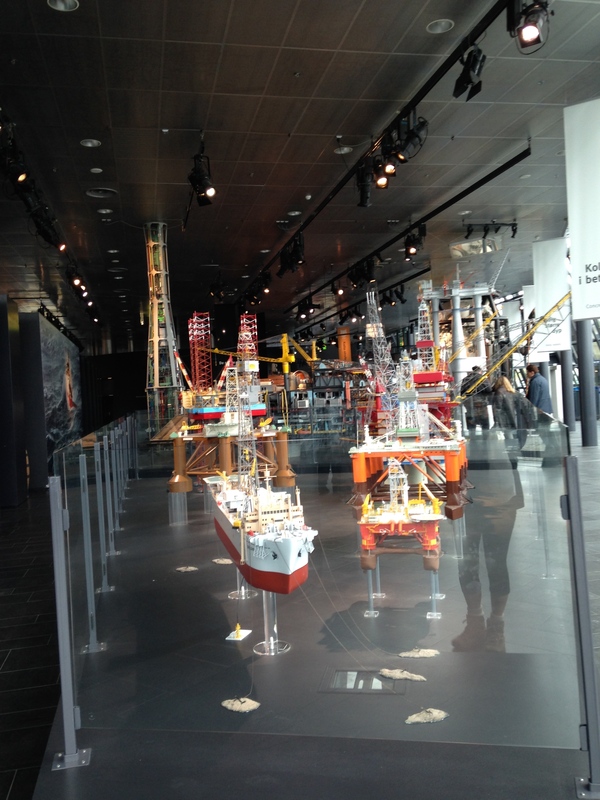 Abby and I also had fun looking at some of the model oil rigs and climbing into some of the diving equipment. Personally I found the diving rigs to be a bit too claustrophobic, which wasn’t helped when I learned that in order to work at depths of more than 50 m (164 ft) divers have to go through a 12 hour saturation process for their bodies to adjust to the pressure. In Norway, divers are only allowed to work for 14 days at those depths, and afterwards it takes about 3-6 days before the body recovers and returns to normal pressure. This sounded wholly unappealing to me. Clearly oil extraction is not my calling. 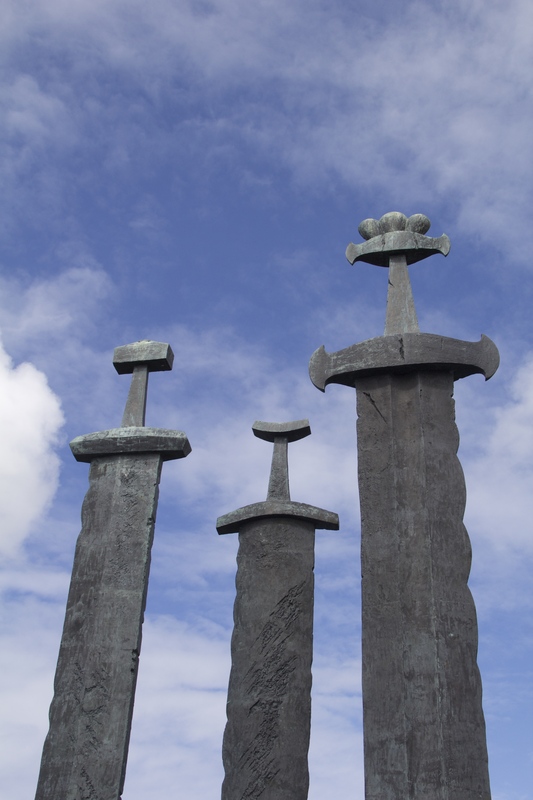 Once we finished up at the museum, we took a drive out to Stavanger’s Swords in Rock monument, or Sverd i fjell, before heading over to the airport. It was there that we realized that we were on the same flight. My supposedly direct flight back to Trondheim was really a flight to Trondheim with a pitstop in Bergen. Turns out the flight to Bergen is so short (25 minutes) that it hardly makes a difference to stop in Bergen and drop off and pick up new passengers, than it does to just fly to Trondheim directly.